Ready for a great ride? 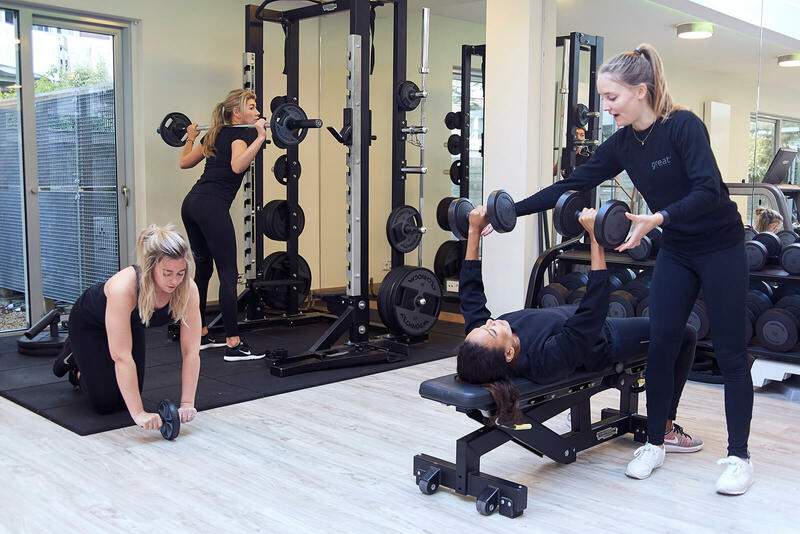 Great Studios is Amsterdam’s newest boutique fitness studio, offering high-intensity classes that mould bodies and break barriers. We create immersive workout experiences with maximum impact and energy — all fuelled by pumping music, state-of-the-art studios and epic coaching. We go fast and furious. We explode with energy. We burn calories and tone muscles like never before. Catch the beat with us and try a Great class today. You’ll leave each class feeling like the rock star that you are. You’ll experience increased energy, strength, balance and confidence. You’ll be better prepared for everything in life — a healthy life. Drop by for a trial class and discover why we’re Great. Our program allows you to complete your entire workout in 60 minutes! Smash through this hour of physical and mental intensity. Our dynamic HIIT and cycle studios are equipped with psychedelic videos, surround sound speakers and disco lights; the immersive experience will leave you feeling energised while you continue to burn calories for hours. During your class you’ll wear a belt that monitors your heart rate; it’s then projected on the wall so you know exactly how you’re performing. After class, you’ll receive a recap report to track your results and progress. Find your favourite class or switch it up every week with something new. Whichever option you choose, it’s sure to be Great. A spin class unlike any other. Lose yourself in our dark-lit studio, surrounded by epic beats that lift you higher with each pulse and pedal. Smash your way through the intervals and sprints, inspired by motivational coaching from our rock star instructors. Strengthen your full body and burn maximum calories, as you groove to the rhythm and ride the energy of the pack. Leave your stress at the door; this class is between you, your mat and your mind. Our powerful and vigorous flow sequences will challenge every muscle, building your strength and flexibility. Step outside the chaos and follow your breath. Move deeper. Cleanse your mind. Leave each class feeling energised, calm and ready to take on everything. As part of your Great membership, you’ll receive all the gear you need: shirt, shorts and shoes (optional). Re-fuel after your workout at our healthy and organic snack bar. Enjoy smoothies, fresh juices, bowls, coffee, salads and shakes, either at the café or take it with you to go. Feel the pulse with surround sound beats. Get fired up with psychedelic videos. Groove to the rhythm as disco lights flicker around you. Watch your live heartrate as its projected on the walls. Our studios are unlike anything you’ve experienced before. Our luxurious dressing rooms are equipped with rain fall showers, electronic lockers and complimentary towels (nobody likes a wet towel in their bag). We also provide complimentary shampoos and body lotions.